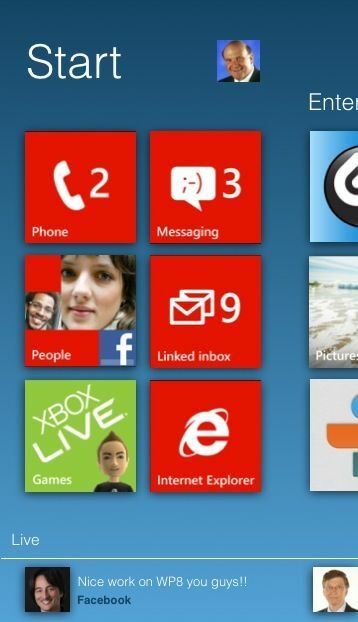 Shaik Imaduddin sent me an email detailing his ideas regarding the way that Windows Phone 8 will look like. 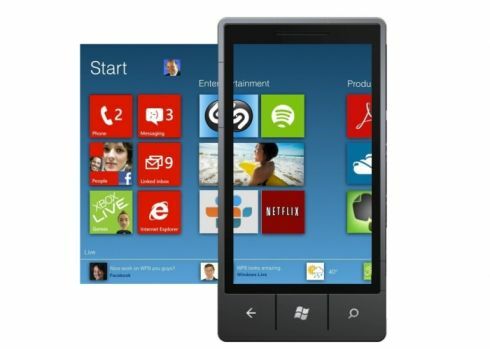 The OS is shown on a new concept phone, the Microsoft xPhone, that runs WP8. 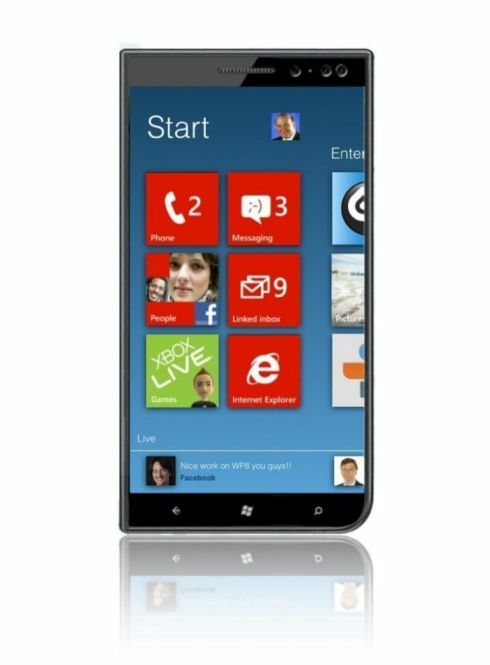 This handset comes with a 4.7 inch display, a dual core 1.6 GHz processor and a Kinect sensor built in, so that the phone can be used with gestures instead of touch. I have to remind you that WP8 is also codenamed Apollo, in cas you’ve heard about it. 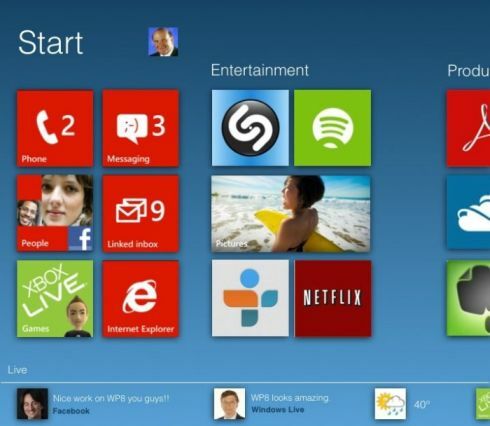 As you can see the idea of Windows Phone 8 is a horizontally scrolling interface that now divides the purposes of the phone between entertainment and productivity. There’s a Start area at the top and a Live area at the bottom, that includes tweets, weather and other stuff happening in real time. 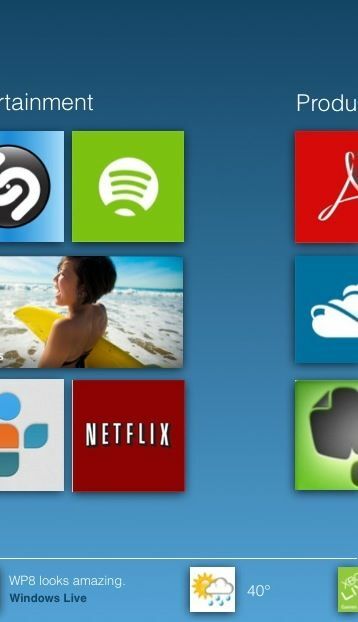 This sort of horizontal UI is used in the Zune area of Windows Phone and also in the Windows Phone Marketpace, so why not expand the concept to the entire operating system?